Five years ago, Nicole Welker went into labor with her first child. She was rushed to the Penn Highlands Clearfield Hospital, located in western Pennsylvania, nervous, but excited to meet her son for the first time. During the delivery the attending obstetrician observed complications with the pregnancy. And according to a medical malpractice lawsuit, filed on behalf of Welker and her family, the Clearfield staff administered the drug Pitocin to speed up the delivery. The suit claims that Pitocin should have never been given to Welker in her condition and caused her son to suffer from cerebral palsy. 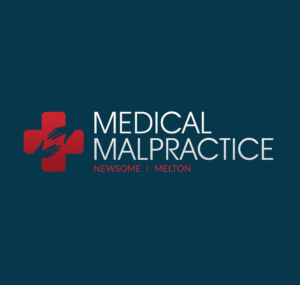 Two years after the birth, the malpractice lawsuit was filed in federal court in Johnstown, Pennsylvania. Earlier this year the suit was brought to trial and lasted for two-weeks, including a full week of testimonies. After deliberating, the jury found in favor of the plaintiff, awarding the family $14.5 million, which is the largest monetary verdict ever awarded in the Johnstown court. More than $11 million of the award was earmarked for the future medical care of the child through 2063, $2 million for pain and suffering, as well as $1 million for lost earnings. “The jury properly determined that the health care providers responsible for causing the child’s catastrophic injuries should also be responsible for paying the significant costs associated with his medical care going forward,” said the attorney representing the family. Welker’s lawyers contend that because of the alleged negligence of Dr. Thomas Carnevale and the staff at Clearfield, the child was deprived critical oxygen in between contractions. After the birth he was rushed to the Pittsburgh Children’s Hospital, where he was diagnosed with cerebral palsy. The five-year-old boy, unable to walk or talk, will most likely be confined to a wheelchair for the rest of his life. The jury ruled that 60 percent of the fault was with Carnevale and 40 percent of the responsibility was with Clearfield Hospital. According to the lawsuit, it is against the hospital’s protocol to administer a hormone drug like Pitocin when the patient is dilating and having strong contractions, as Welker was. It is not clear whether Clearfield Hospital or Dr. Carnevale will appeal the ruling. “The stakes could not be higher,” said the plaintiff’s attorney.